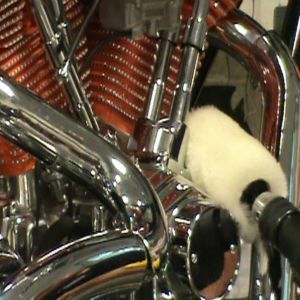 The Motorcycle Detailer's at Speed Clean Services have detailed many Sport bikes, Custom bikes, and Cruisers throughout the years in the Metro Detroit, MI area. Since many service tech own motorcycles, they know that the key to a top quality Motorcycle Detail is precise attention to detail, because it is the many small things that make the overall detail of a Motorcycle turn out great. 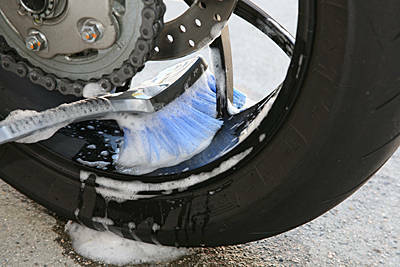 If your looking for the BEST Motorcycle Detailer's in Metro Detroit then search no more. Speed Clean Services is the answer! 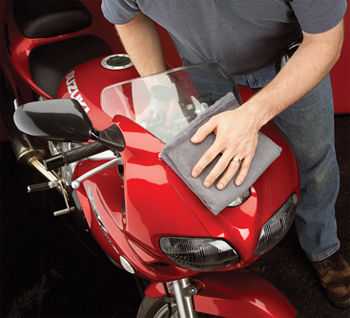 All of our Motorcycle Detailing Services start with a thorough wash to ensure all areas of the bike are clean and free of bugs, tar, and rubber. Then, the painted surfaces receive a clay bar treatment to remove the dirt below the surface of the paint to ensure the truest color of the paint is revealed. If swirls and fine scratches are present on painted or plastic surfaces, we then polish the paint to ensure a swirl-free finish. 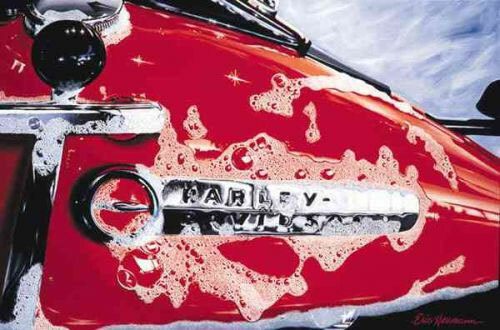 On heavily chromed motorcycles, such as Harley Davidson cruisers, we would go ahead and polish all chrome finishes and aluminum to a very high luster to ensure the best appearance possible. Finally, all surfaces will be treated to a durable ultra high-quality sealant to preserve the beautiful finish we have produced from the harsh natural elements Michigan has to offer for months to come. • Wheels and tires cleaned and degreased. • Engine, frame, swing arm, underbody and tail deep cleaned. • Faring's safely hand polished to get out as much swirls as safely as possible. Glaze is applied followed by your choice of a sealant or Carnauba wax. • All painted surfaces clayed to remove all embedded contaminates! • Tins safely hand polished to get out as much swirls as safely as possible. Sealant and/or Carnauba wax applied.